The New Orleans Geological Society was organized on October 3, 1941, as a non-profit organization for the purpose of facilitating the development of the profession and science of Geology, with specific emphasis to exploration and production of petroleum and natural gas. 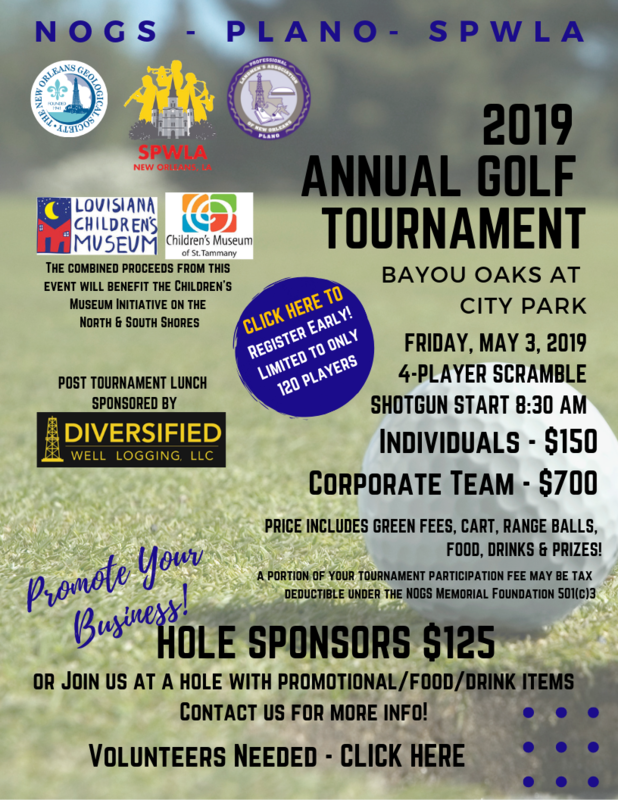 Since Hurricane Katrina our objectives expanded to include the dissemination of the geological facts of flood control, engineering and environmental geoscience, and the maintenance of a high standard of professional conduct of its members. Any person who possesses a degree in geology or geophysics from an accredited college or university and is involved in hydrocarbon and mineral exploration and exploitation, environmental geoscience, geoscience and geo-technical services, or geoscience education shall qualify for active membership in the New Orleans Geological Society. 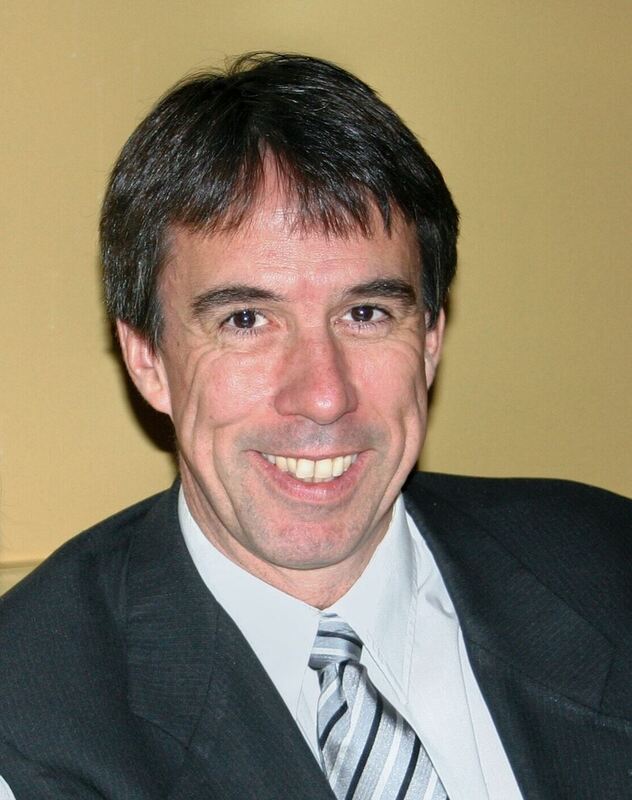 The collegiate or university requirements may be waived by unanimous action of the Executive Committee in special cases where the applicant's standing in the profession is well recognized and the applicant has made significant contributions to the geological profession. 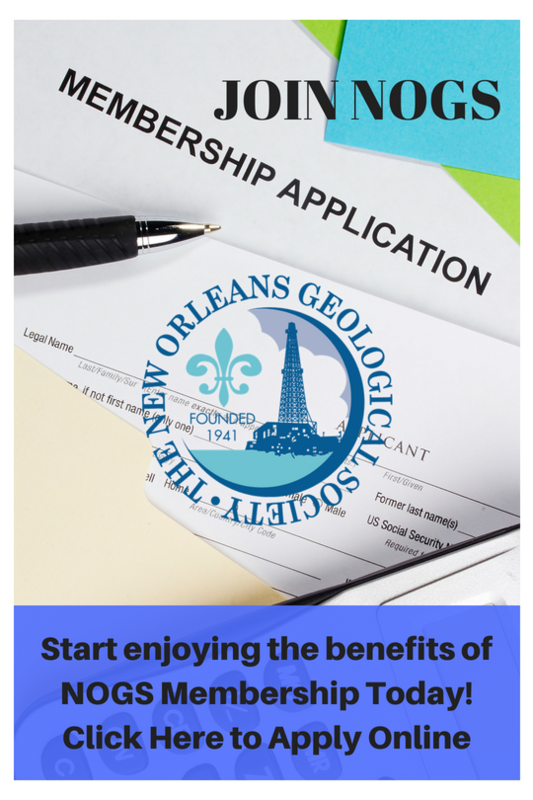 Persons enrolled as full time students majoring in Geology or Geophysics at accredited colleges or universities shall qualify for Student Membership in the New Orleans Geological Society. Any person engaged in activities related to hydrocarbon and mineral exploration and exploitation, environmental geoscience, geoscience and geo-technical services, or geoscience education, who does not possess the requirements for Active Membership, may apply for Associate Membership in the New Orleans Geological Society. 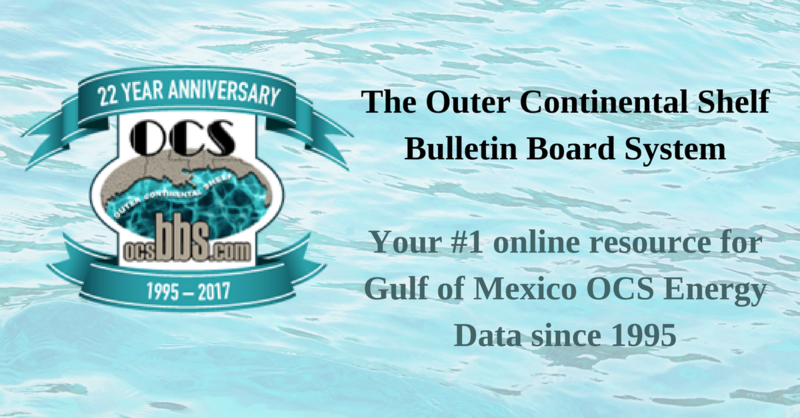 Start enjoying the benefits of NOGS membership by applying online. Payment by check, Visa, MasterCard, or American Express is accepted. Click here to apply online.